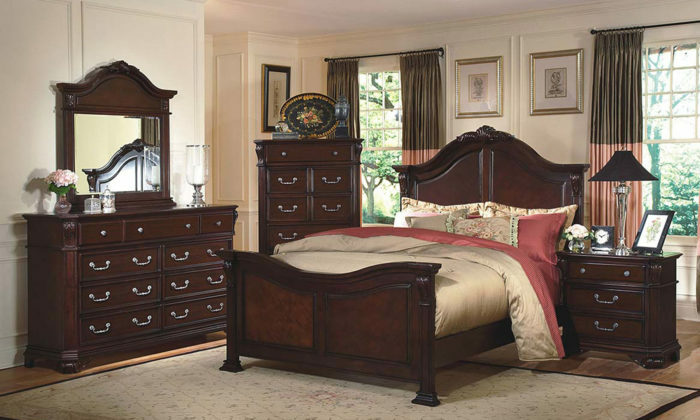 The elegant and charming Allison youth bedroom collection is the perfect choice for your little princess. 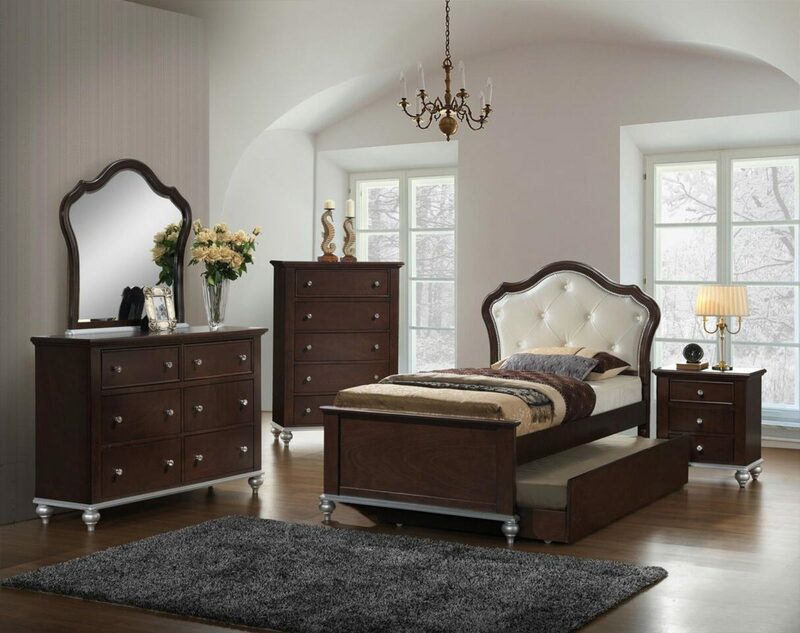 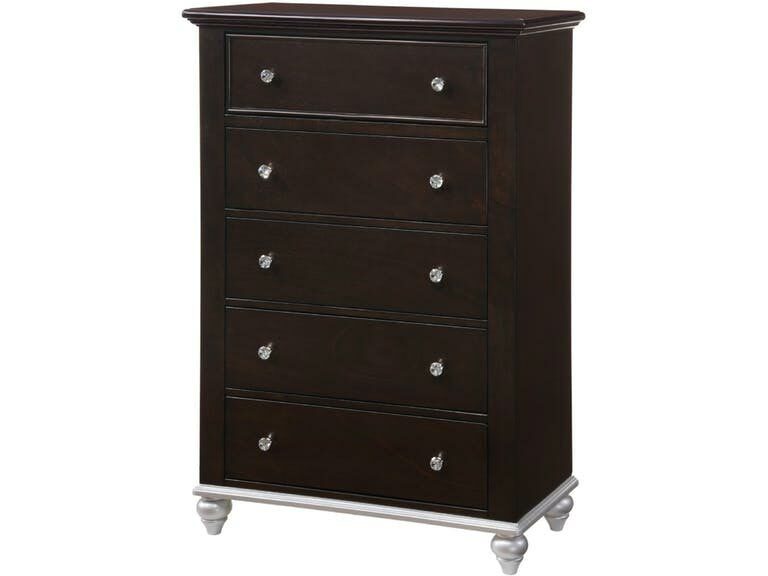 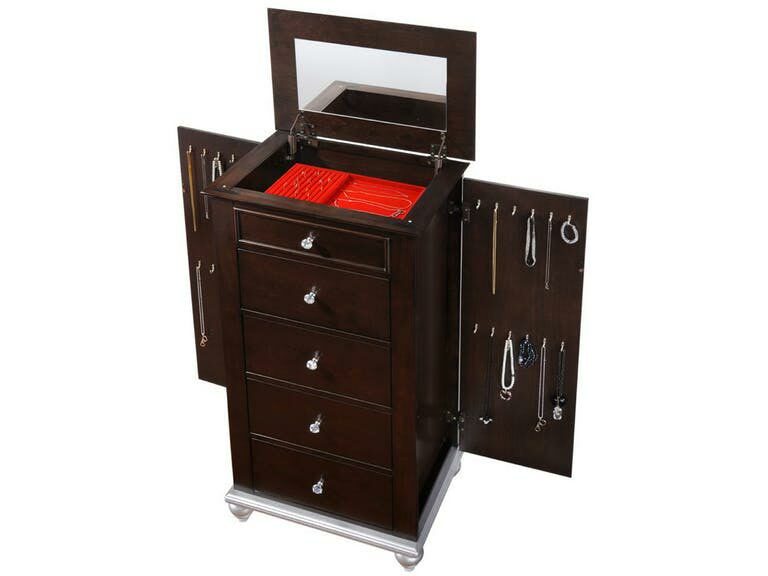 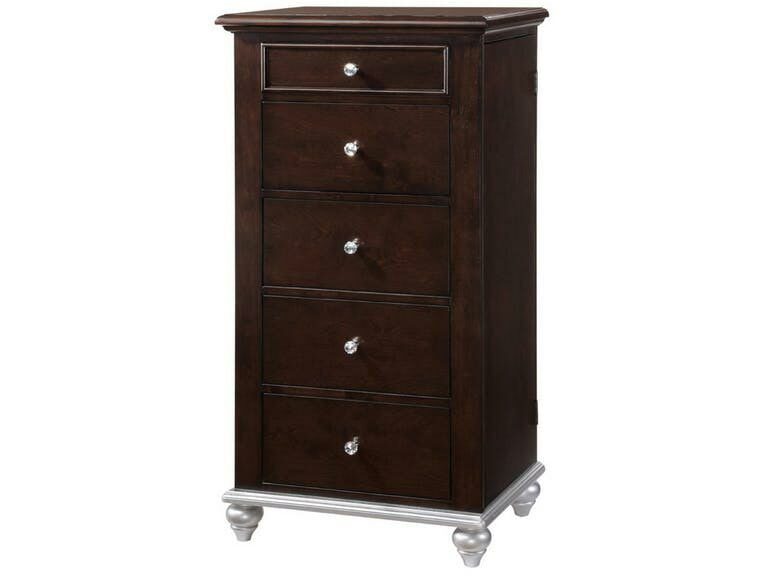 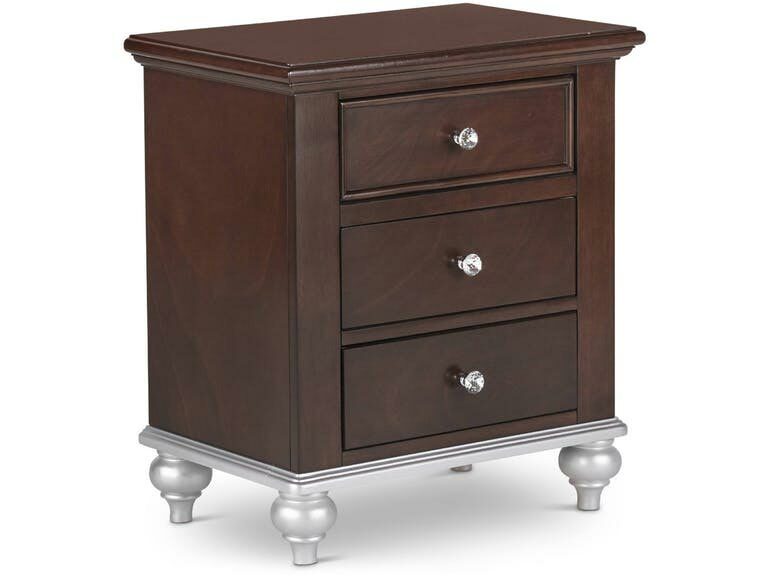 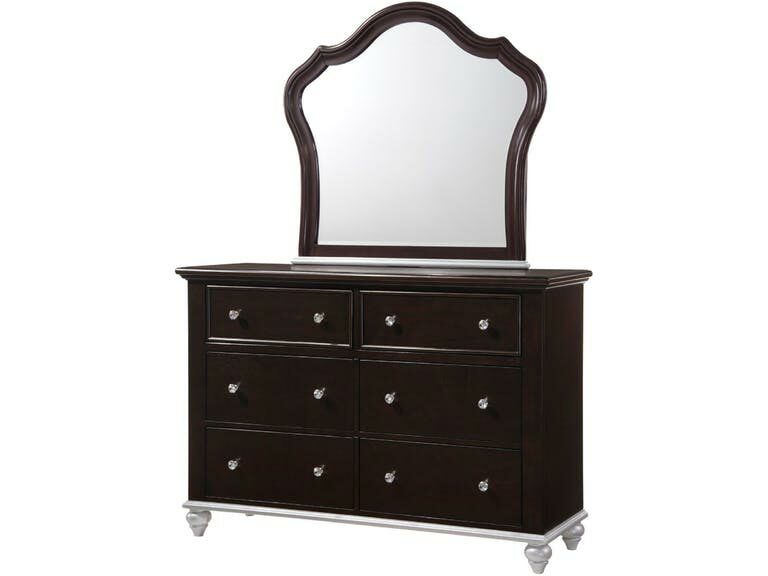 This lovely set features a dark walnut finish with silver trim and silver bun feet. 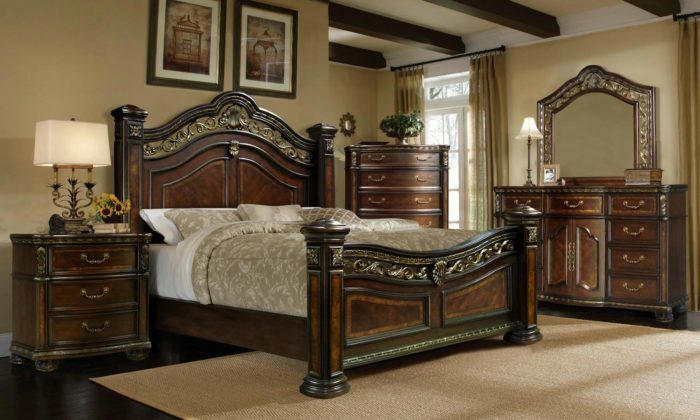 The Bonn shaped headboard is diamond tufted in a rich, cream upholstery complete with a nail head trim. 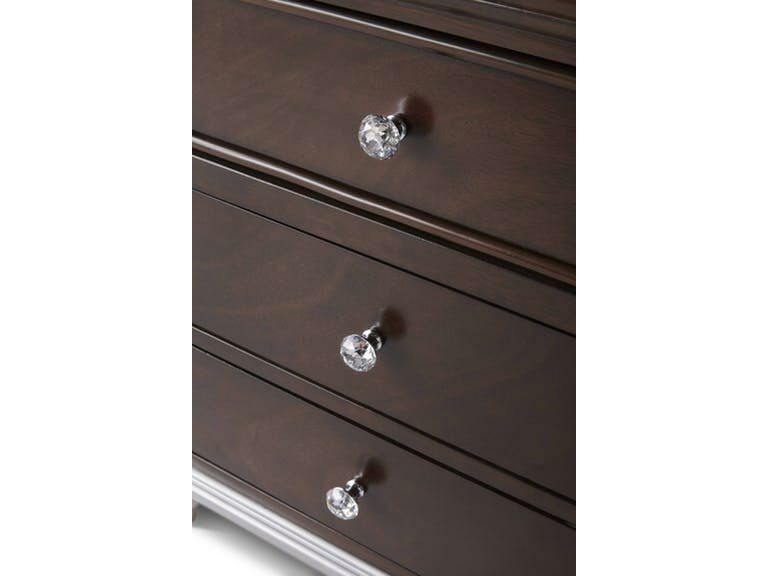 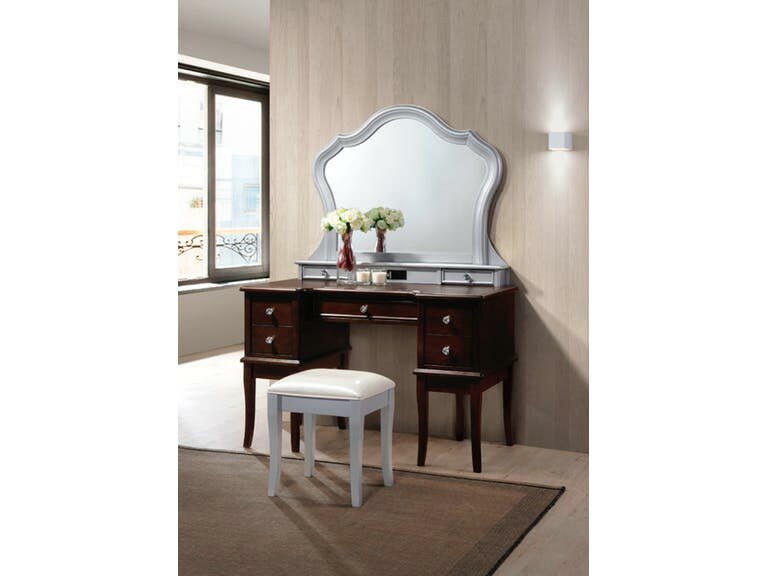 Diamond-cut, crystal-like knobs add the finishing touch to this glamorous collection.